Meyer Marcus is Chairman of the Board of MIMCO, Inc., a company he founded in 1973 that is a fully integrated real estate investment, development, management, leasing, and maintenance company. MIMCO has operations in 14 cities including El Paso, San Antonio, Dallas, and the Rio Grande Valley in Texas; Las Cruces, New Mexico, and is currently expanding into other Texas markets. With his brother, Clement Marcus, he co-founded LaLa Imports, importers of goods from China, the Philippines, and Mexico. Mr. Marcus is on the Dean's Advisory Council for Texas Tech University Health Sciences Center-Paul L. Foster School of Medicine, Chairman of the Medical Center of Americas Tech Park Inc., serves on Board of Directors of the Medical Center of Americas Foundation, Inc., the Jewish Community Foundation of El Paso, and with his wife, Mindy, became Board Members and Founders of the El Paso Chapter of the Make-A-Wish Foundation. 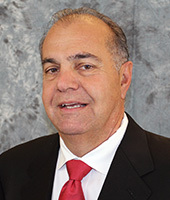 Mr. Marcus is a founding director of the Board of the Borderplex Community Trust. Mr. Marcus has been a director of WestStar since 2005.